As barriers to entry fade, brand development is an essential cornerstone for graduating products towards brand status. In this competitive age, it is very important for a brand to distinguish itself with its competition and make sure it is present at the right place at the right time for its consumer to see, engage and then convert that action into sales. Although a lot of people will focus on the creativity element of communication that will attract consumer and will build that connection but before building that creative bridge for the consumer it is very important to build that brand building foundation for it. I dare not denying the fact that creativity is crucial for a brand but if your strategic direction is not aligned, you will end up creating a visually stunning campaign with a “safe” direction which will not be able to differentiate from its competition with the passage of time. Such problem with brands is quite evident in Pakistan where we see most brands with similar communication but not a USP on its own. A prime example will be a relatively recent communication by Supreme (Unilever) claiming Tea is healthy as it contains flavonoids. It was indeed a clutter breaking communication which got attention in a second as it was discussing generation old taboos and misconception. But the unfortunate part of that communication was that their competition could easily take the same USP and promote their own brand too. Thus, a brilliant idea was lost in translation. In my early days of advertising, my mentor always encouraged me to develop campaigns with long lasting impacts. As per him, think where you want your brand to be in next five years and then backtrack its path to the point where you stand. It will give you a picture of what needs to be done to achieve that gold. Simply said but difficult to execute, but then, easy communication doesn’t create a solid impact to (at times). So, I asked him one day, “what are the basic building blocks for me to understand brand development strategy?” and his response was something I still hold on to and imply. – Who are we (brand)? This step requires a deep understanding of your consumer. What is their lifestyle, how they see your brand and if the product caters different market segments then how those segments behave individually and collectively? Then one needs to further narrow down to their needs, choices, and decision-making between you and your competition. To understand what are the points they consider while differentiating you from rest of the competition and those points compelling enough to ensure they buy you than your competition. After the understanding the journey of decision making and keeping the product features in mind, we must determine the “unique selling point” that will differentiate us from our competition and will develop a better understanding of our USP, which will lead to the quick decision-making process to select our brand. The above-mentioned experience of the consumer is a result of your brand’s overall performance. To understand that performance within brand development, marketers must meet or ideally exceed consumer’s expectation so that you can build a long-lasting relationship with your consumer. A constant process of communicating consumer, identifying opportunities, engaging consumers, getting their feedback and then leading to the identification of gaps in your consumer and then fill those gaps to ensure the relationship between your consumer and brand is getting stronger with the passage of time and your consumer is moving from consideration to loyalty. – What does consumer feels and thinks about us? You can further indulge the consumer by carefully identifying what sort of brand experience you will provide to them when they are in middle of or have bought your brand. This will be achieved by defining a unique way of imagery, communication, and tone of voice that will depict the brand as a human being. Its traits of either being informative, playful or witty; all dependent on your brand’s nature and the way you want yourself to be distinguished with. The consumer will develop its perception and will connect with the brand through emotions and these 2 pillars will form the overall persona. The perception will include Product Quality, Credibility, its superiority from its competition and the innovation it brings in the same segment. This will determine how a consumer feels about the brand emotionally and how the brand makes them feel about themselves. A universal model suggests that there are 6 positive brand feelings which are: warmth, fun, excitement, security, social approval, and self-respect. – How many consumers can relate the brand to us? 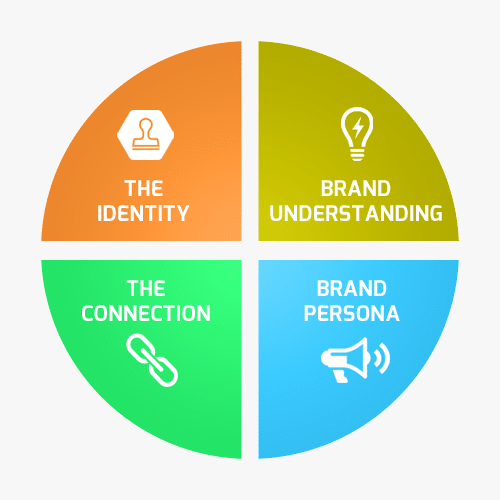 After defining the brand identity, its understanding for its features and for consumer and building its persona. Brand “connection” sits at the top of the brand building pyramid because it’s the most “difficult” and the most “desirable” level to reach. The most important task is to achieve it by building a deep and psychological bond with your brand. Sometimes brand development occurs by building a strong community or at times cults so that people can build that association with the brand and within consumers themselves. This allows a brand to build ways of active engagement, where consumers can build that bond with a brand while they are purchasing or consuming it. Once an understanding of these four blocks is clear. One can see a significant change in their brand communication and overall relationship of the consumer with the brand itself. 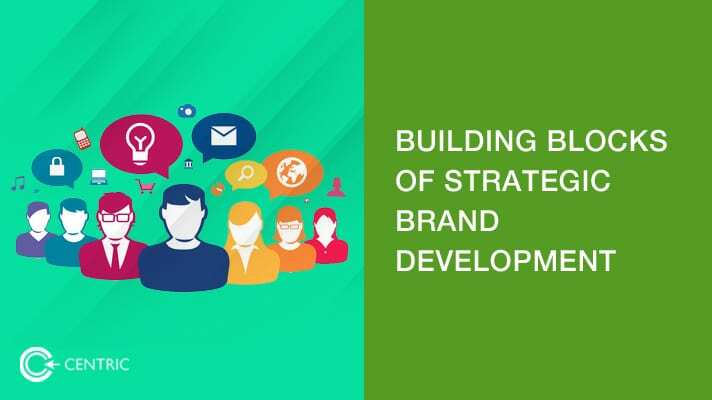 Furthermore, the additional exercises of individual agencies to determine brand strategy may help the brand to build better identity and communication for future.